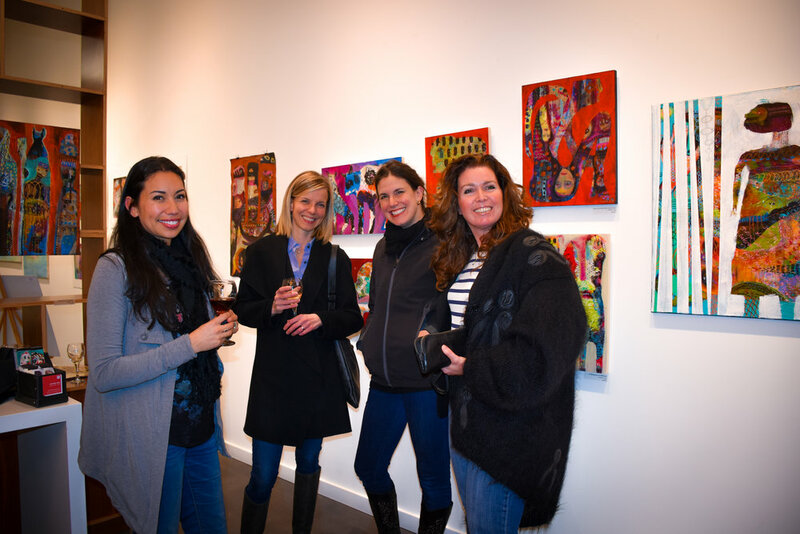 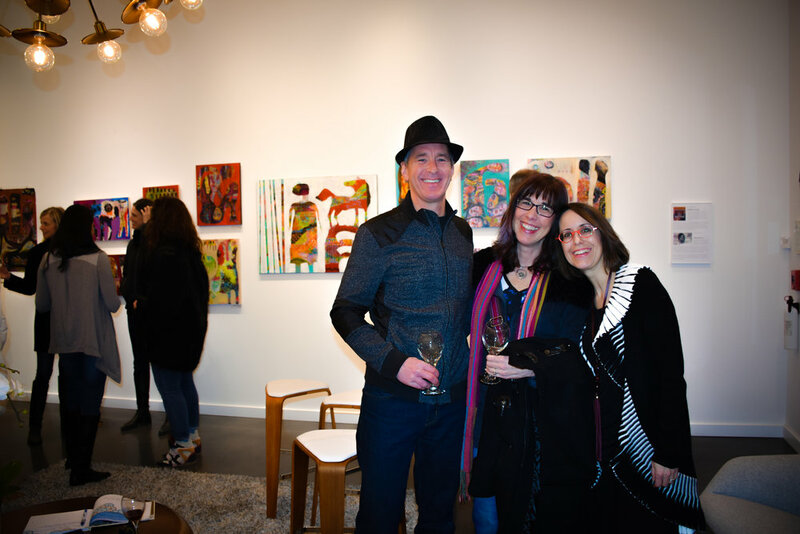 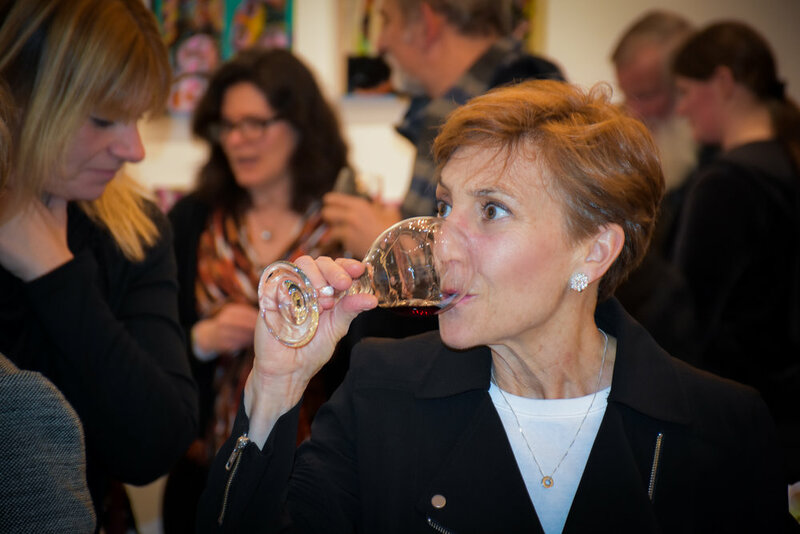 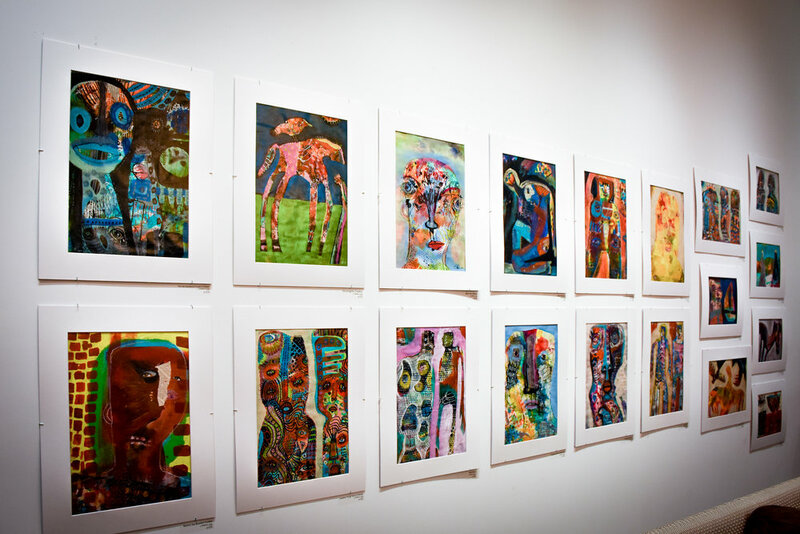 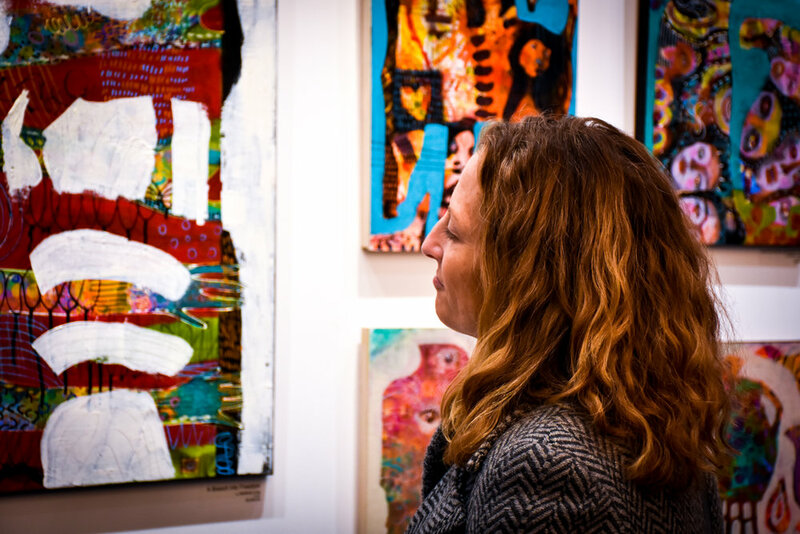 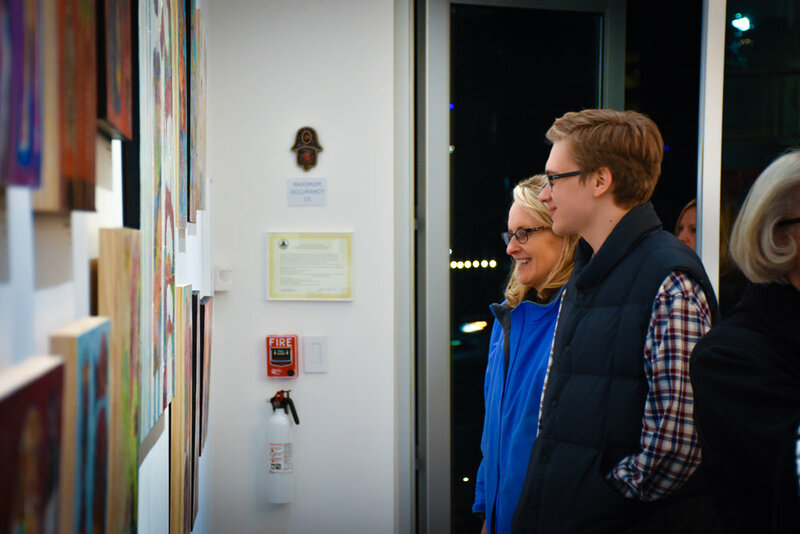 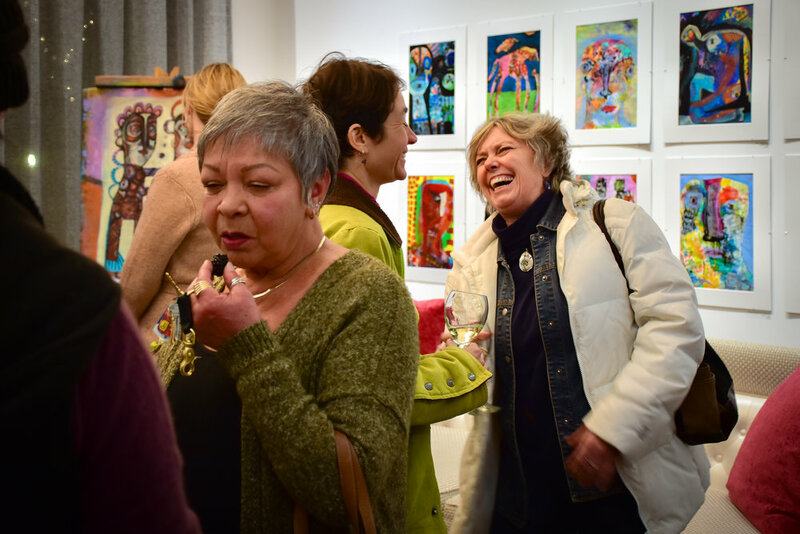 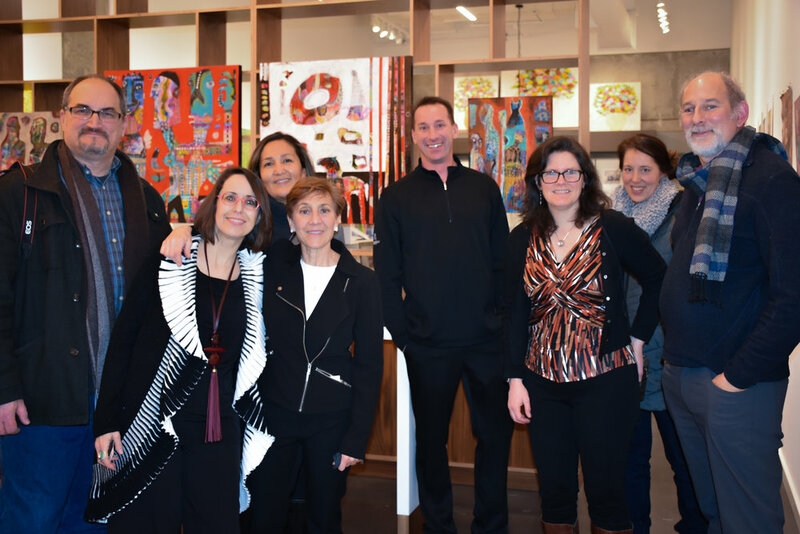 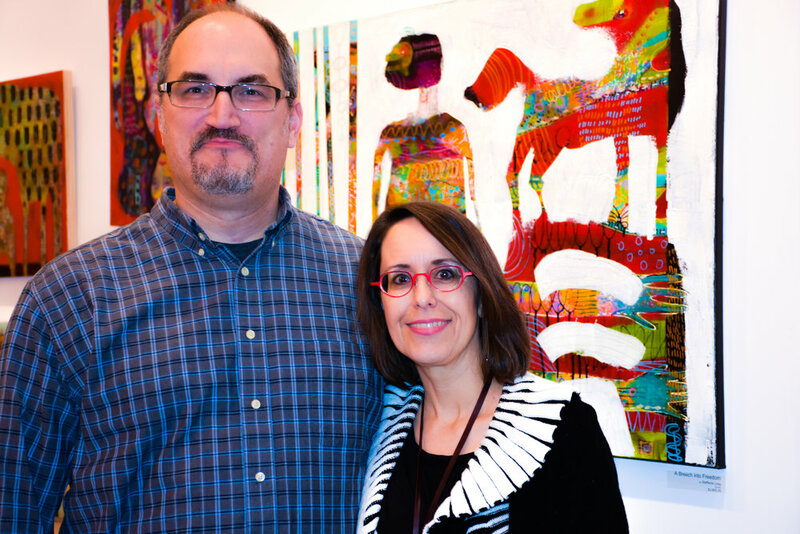 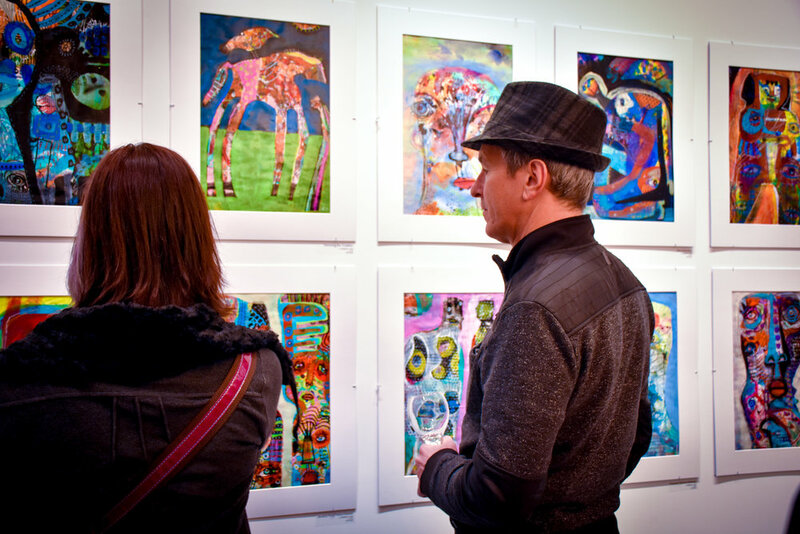 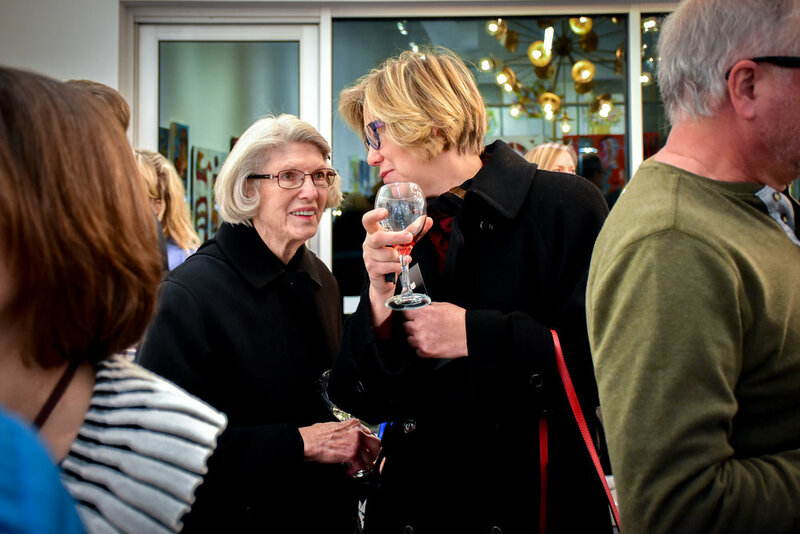 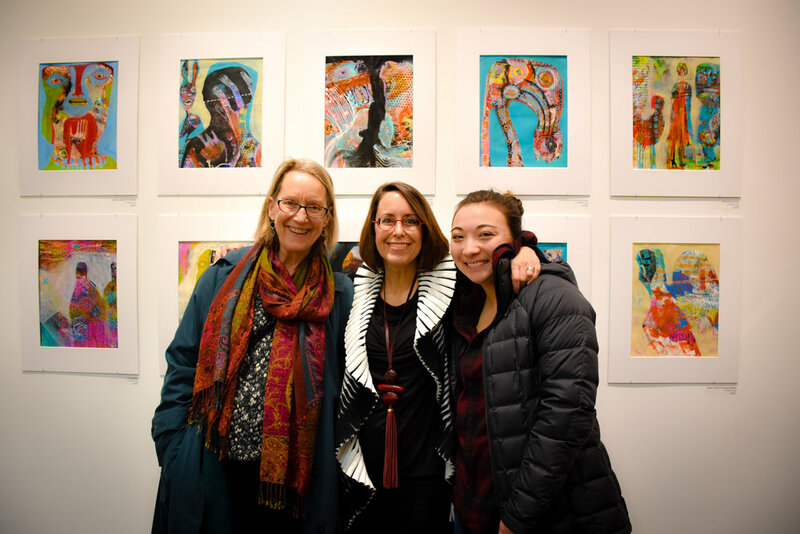 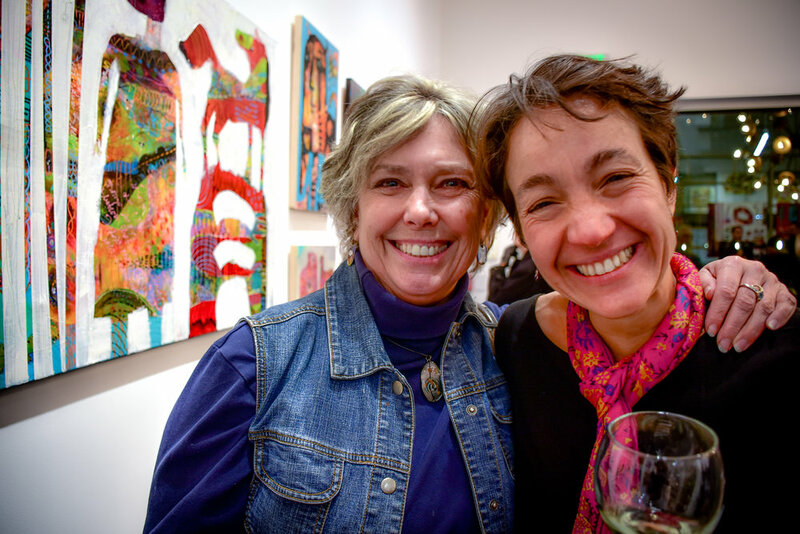 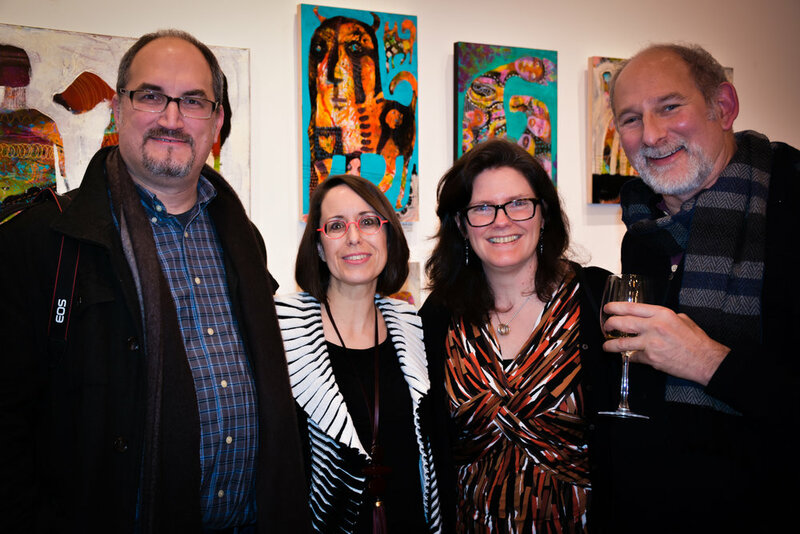 We enjoyed a truly heartfelt art opening for Steffanie Lorig at the SZ Gallery this past First Thursday. 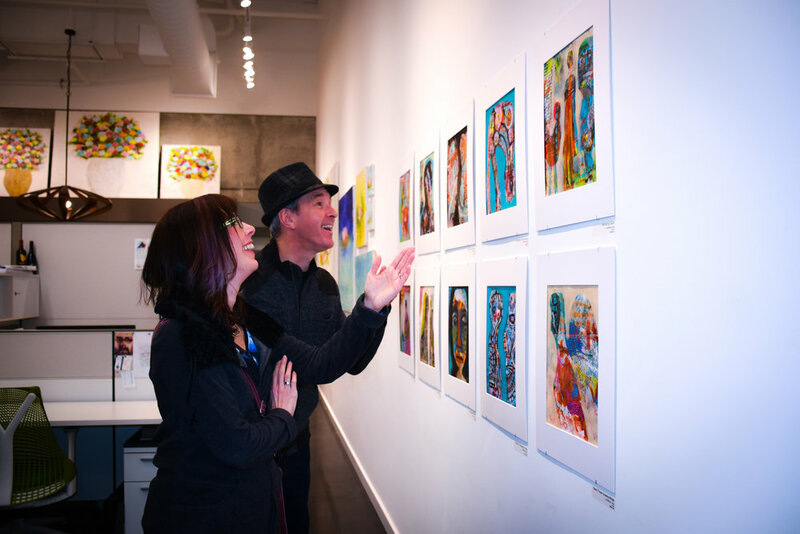 Such a pleasure to exhibit almost 50 of her most recent mixed media paintings, each with it's own vibe & hidden treasures. 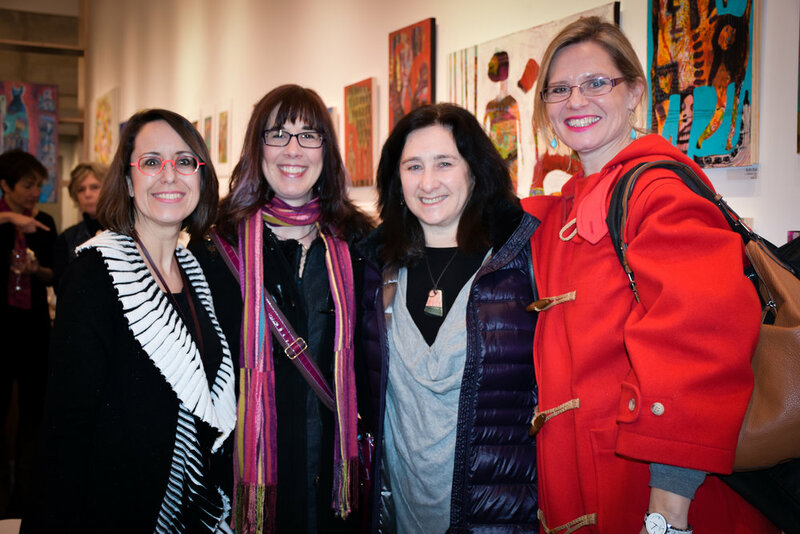 Steffanie has just recently retired from her 20+ years as the Founder & CEO of Art with Heart, a non-profit dedicated to helping children, who have experienced trauma, heal through creativity. 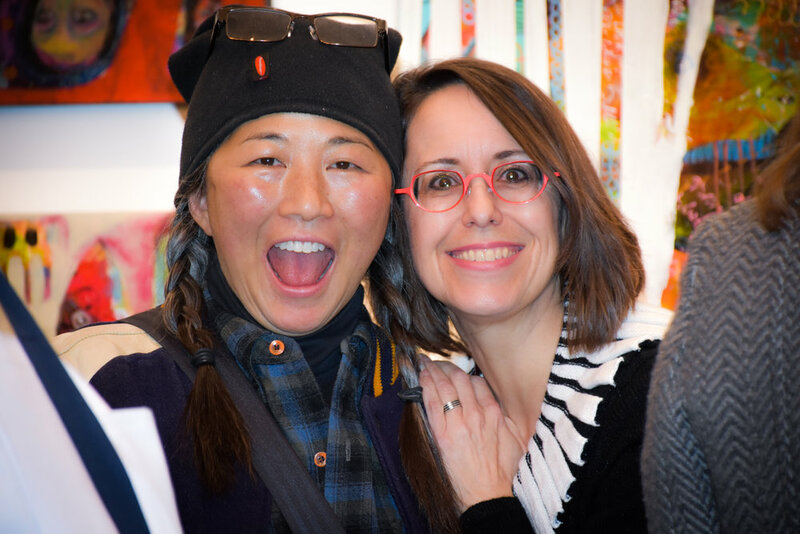 She's kicking off 2017 with more independent pursuits as an Artist & Creative Consultant. 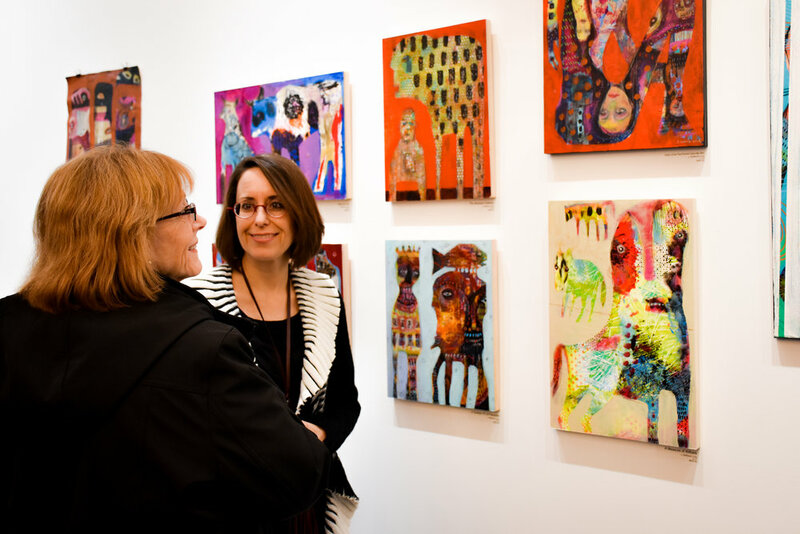 In celebration of her immense accomplishments, SZ is donating 10% of all art sales during Steffanie's exhibit to Art with Heart.